Multiparameter analysis of enterprise sustainability incorporating social, environmental and economic factors related to your organization’s sustainable performance. Build a Performance Management System. 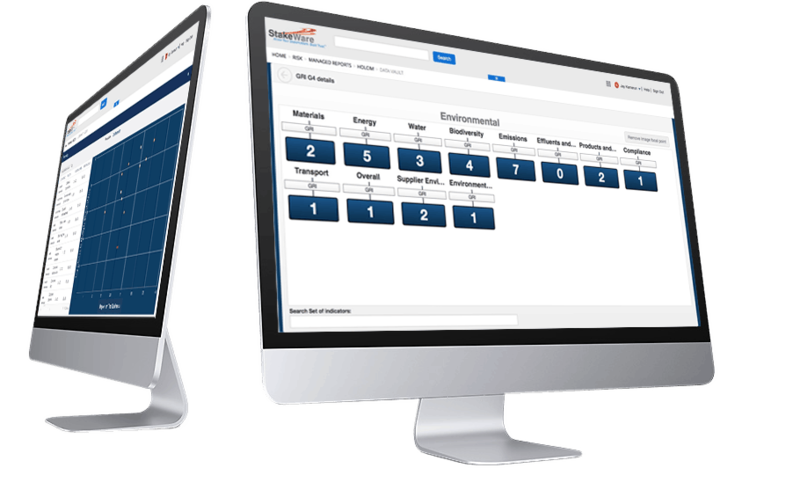 Roll-up reporting, analysis and business intelligence designed to enhance performance and increase organizational efficiency. By tying key business information from operational systems with sustainability reporting, StakeWare software and services can help you measure impacts and drive performance, while reducing the cost of gathering data and compiling disclosures. StakeWare services for sustainability reporting and analytics facilitate the extraction of information from operational systems across all dimensions of sustainability. Your sustainability data and business setup can be quickly and efficiently streamlined through predefined services.